Hello! I hope you all had a wonderful Thanksgiving day. Welcome to this special blog hop. Hopefully you have arrived here from Kia's blog, if so you're in the right place! Today is Celebrate Your Unique Talent Day. It's a day to celebrate the things that make you YOU! But today, the team from My Sweet Petunia has subverted the purpose of the day just a bit. We are celebrating the unique and creative talents of a special person and friend instead with this secret blog hop. This person's creative talents, and the results of her talents have made an immense impact on our own lives and unique personal talents. This lovely person is none other than the inventor of the MISTI, (the Most Incredible Stamping Tool Invented), Iliana Myska of My Sweet Petunia. 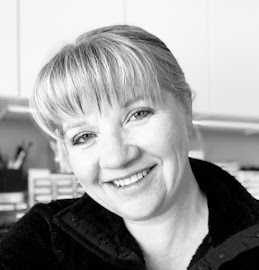 Iliana's MISTI invention in 2013 revolutionized the craft industry, leading to a huge new population of stampers; even bringing back many who had previously given up the hobby. Older stampers could now enjoy and be successful at stamping again, even those suffering from painful arthritis or unsteady hands. Everyone wanted a MISTI. 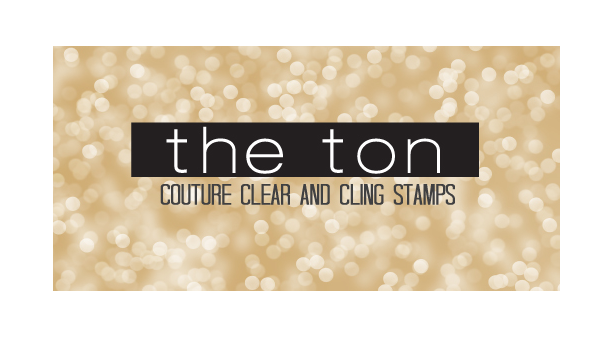 The MISTI's incredible versatility spurred brand new stamp company start-ups, increased the number of stamp options, including many many layered stamps and large background stamps, and even jump started a new unique line of stamps called the "Turnabout" stamps. Not only did companies produce these new stamps, but consumers were buying them like crazy and being wildly successful with using them, now that the MISTI stamping tool was availanble to facilitate their use. Iliana's unique talent for designing and producing invaluable craft tools has also allowed me personally to enjoy and use my own unique talents better as well. In 2013, I had become bored with stamping. I wasn't enjoying it much any longer, and was frustrated with the amount of tools and stamps and papers I had accumulated. Things no longer brought me joy. I was tired of the same process. And tired of spending time of coloring images only to be terrible frustrated by a poorly inked or crooked sentiment. I was about ready for a huge garage sale, and to move on to learning and trying something different. But then I found MISTI. 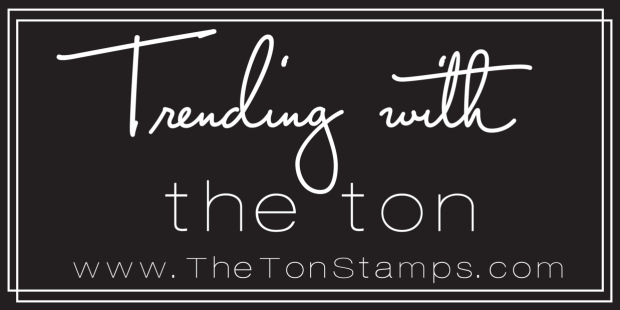 I found other people who loved stamping and the MISTI just as much as I did; I went to fun Craft weekends, retreats, joined Facebook stamping groups, went to stamp expos and conventions. It was a whole new world of friendships and possibilities. I learned about new ink and coloring mediums, fell in love with new stamp companies and learned and mastered new techniques. And I love it all. Today's card is for Iliana. 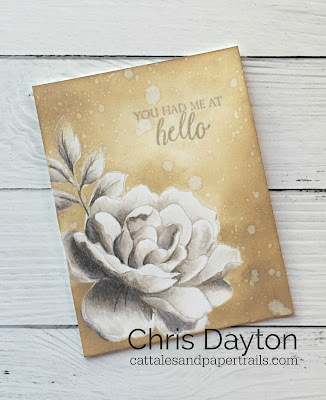 This is peony was stamped on Artist's Choice cardstock in Soft Stone ink and colored with french gray Prismacolor pencils and Gamsol. I restamped after coloring using Versamark and heat embossed with clear embossing powder. The background is ink blended using Frayed Burlap Distress Oxide ink. Iliana, in honor of your unique talents, I wholeheartedly thank you. Thank you for bringing crafty joy back into my life. Thank you for your vision, your perseverance and your friendship. I have had the pleasure of meeting you in person several times over the past two years and I am honored to call you friend. Thank you so much for all the joy you have brought me. 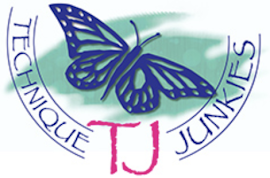 Your next stop should be Jeanne's blog. Beautiful card and such a nice post about Iliana! I can also agree with the same feelings about stamping. Love your blending with the gamsol. You, my dear, are a true artist with amazing talent! Your card is STUNNING! Elegant card! Love the colors! Great tutorial and beautiful card . Beautiful Card! Love your technique sharing videos! Gorgeous card, I can't wait to try white poinsettia. Thanks for sharing. Oh my goodness, your card is gorgeous. Looks like you've mastered color blending. This is just gorgeous. Wow! Awesome card. Thanks for the great video. It is such fun to watch you color. I love MISTI and just ordered my second one, but I could always use a third. 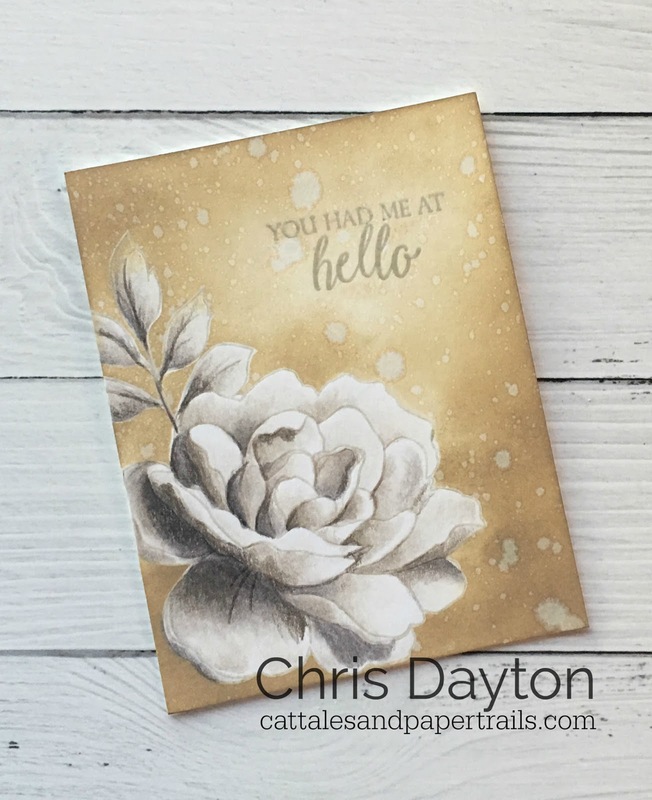 Your card is gorgeous, Chris! I'm so glad that Iliana is being honored today. She has changed my whole stamping life. Oh this is so beautiful. Love the colors and the great design. Ooo that is breathtaking Chris!! What a beautiful design to showcase the fabulous MISTI!!! I know I am useless in stamping without mine!! This is gorgeous! Love the shading and the colors you used. My goodness, your card is beautiful! I REALLY enjoyed your video tutorial! It would be handy to have an extra MISTI that I could leave the stamps in. It would have been a real shame if you had stopped stamping. Your talent is amazing and your creativity always inspires me. Oh Chris, this is positively stunning, I had to pin this for inspiration. What a gorgeous stamp and sentiment. I could not be more impressed with your card, very well done. Your card is beautiful and your video was excellent. I learned so much from you, thank you! Great post and gorgeous card! Wow another beautiful card! Thanks for sharing your talents! Your card is truly elegant, and I can see how the Misti helped you achieve it. Wow. Chris you card is amazing!!! The flower is gorgeous! I just love your card!!!!!!!!!!! Wow! Wonderful card!!! I'm in love for the stunning colouring!!! Your video tutorial was amazing!! Your card turned out absolutely GORGEOUS!! !❤ Thank you so much for sharing this with us! that took days to make. Love this soft, painterly technique and your colour selections. It's gorgeous. The Misti makes this seem so approachable. Beautiful card. Love the soft neutral colors. What a wonderful tribute to a talented lady willing to share her knowledge and then new product with the world. Thank you for sharing. Soo beautiful! Love the colors & elegant simplicity! Absolutely beautiful. I really enjoyed your video. It was great seeing your process. Beautiful card and beautiful story. Your work is stunning! I love this card! Such a stunning card! Thank you for the inspiration! Amazing!! I saw this first on Instagram and loved it then...but now that I see more about it, I love it even more! A masterpiece for sure. WOW... that is just GORGEOUS card!!! !